A saw with a diamond blade that will cut concrete and bitumen pavements. 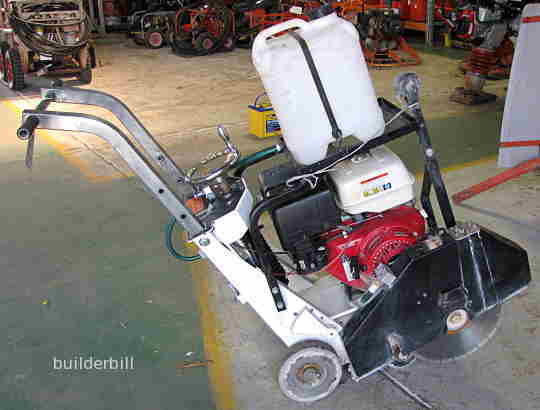 Ranges from hand tool electric driven to petrol or diesel engined self propelled models. A small walk behind 450mm (18") diamond saw that is a good choice for sawing control joints in fresh concrete slabs. The maximum depth that can be cut with this small saw is around 100mm (4") but at that depth it would be working very hard and the going would be extremely slow. 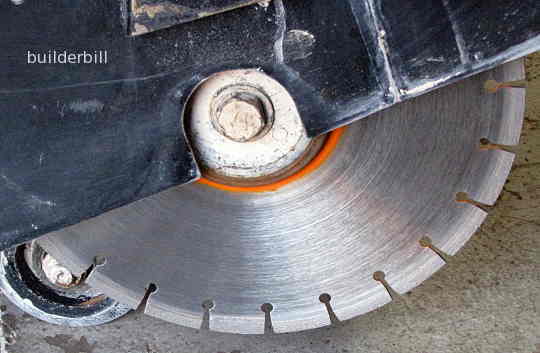 The larger sized saws with 600mm diameter blades are a better choice for deeper cuts. When they get up to that size and over they get a lot more sophisticated with powered feeds and larger engines. 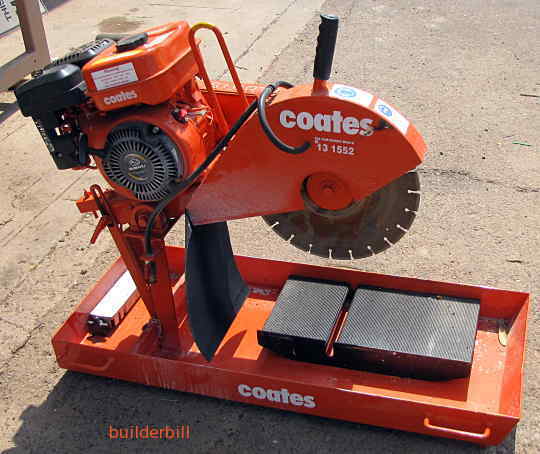 Here is a small saw made for cutting clay or concrete bricks and pavers.